Most states require some form of disclosure to the client or prospective client as to how you will be representing them in their real estate transaction. Be sure that you understand your state's rules and the various ways in which you can be their representative. Your duties and obligations to the client will vary significantly based on the type of representation to which you've contractually agreed. "Real estate agent" is a generic term referring to our occupation, but does not always define our position and duties in a transaction. "Agency," the highest level of representation, requires certain fiduciary duties, including client confidentiality and full disclosure. The confidentiality requirement continues after the transaction is completed. You are working in the client's best interests, meaning most money for your seller's listing or lowest price for your buyer. In most states, if you have not specifically agreed to an agency relationship with your client, you are not their "agent" with respect to fiduciary requirements. You would still be required to treat all parties fairly and honestly, but would not necessarily owe confidentiality, nor full disclosure to your customer. This status has become more widely utilized with the expansion of "Buyer Agency," representing buyers as their agent. This important status is explained in Dual Agency below. Dual Agency is not possible, but it's a term that's used in most states. It's impossible to provide confidentiality AND full disclosure to two clients at the same time. However, the term applies to representing both the buyer and seller when you're in agency status with each. It requires careful disclosure to both clients that your ability to represent them aggressively has changed. It is considered by many to be a risky practice, with possible conflicts of interest. Subagency has been around since the beginning of the organized practice of real estate. It describes an agent who brings a buyer for another company's listing, and the buyer's representative is working on behalf of the listing agent and seller, owing them fiduciary duties. It's just about dead most everywhere now, as it wasn't good for buyers and made brokers and sellers vicariously liable for the actions or errors of the buyer's representative. Designated agency allows a brokerage to offer an alternative to a dual agency when both buyer and seller are represented in-house, and both have agency agreements. 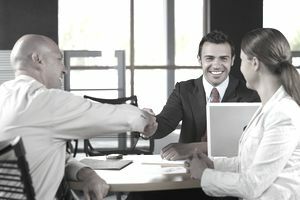 The broker assigns one agent to be the "agent" of the seller, and another agent to represent the buyer. They both retain "agency" status with the required fiduciary obligations. It necessitates certain procedures to keep the respective clients' information separated in-house, with access limited to the appropriate agent. Study the law in your state as it regards real estate representation. Then study the options that your broker chooses to offer their customers. All brokers do not have to offer all types of representation. The remedies to the client for breach of fiduciary duties can be painful for the agent and broker. In the beginning, everybody was an "agent" for the seller. The outside company agent that happened to locate a buyer for the listing simply worked as a subagent for the listing broker and the seller. So, every real estate professional involved in the transaction was working for the seller. You might guess that other options have evolved to present a more level playing field for the buyer. "Buyer Agency", the practice of providing top-level agency representation and fiduciary duties to buyers, has become quite popular in most areas. Now you can have a written agency agreement with a buyer that promises them all the fiduciary obligations of the agency and your very best efforts on their behalf. All that's wonderful until you sign a buyer agency agreement and then end up writing a purchase contract for that buyer on your own, or your company's, listing where you've also signed an agency representation agreement. Now suddenly your company is an "agent" for both the principals in the transaction. Obviously, that's a problem, as you can no longer fulfill the requirements to keep all their information private and to disclose all you know at the same time. An example would be a seller(s) divorce situation. If you're their agent, you will not disclose that, but if you were the buyer's agent and had no relationship with the seller, you would give this information to your buyers to possibly help them make a better deal. If you're a dual agent, you cannot do either. So you have to let both parties know that your new status has changed your ability to serve them. Under various names, transaction brokerage, facilitator, non-agency are all representation without agency fiduciary duties. They are fair to all concerned but facilitate without agency. From a purely customer-focused and ethical perspective, no matter what your role or representation status, it's all about being honest, fair and transparent in your dealings.